Subtitles are those files which helps users to understand the language of TV shows and movies. Subtitles mostly used for movies and TV shows when people watch shows which are not there in the native language. Subtitles help people to understand what’s going in the scene of movie and TV shows. Most of the subtitles are there on internet in the .srt and .txt formats. 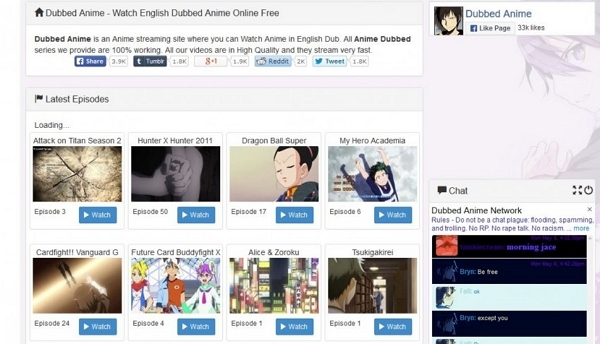 In this article you can learn about where to download anime subtitles for free. iTube Studio is a video downloader program which helps you download subbed and dubbed anime videos. This program is available for windows and mac devices and allows you to download anime English subtitles along with the anime videos. You can download videos with subtitles but it is not possible to download subtitles separately so you have to search for the videos which already have subtitle. Anime subtitles English download along with anime videos for free. Supports 10000+ anime subbed video downloading websites. Record online videos, desktop screen and video calls for free. Download videos in HD formats and supports up to 4k video downloading. Convert download and recorded videos to other devices compatible formats. Transfer converted, downloaded and recorded anime videos with subtitles to iOS and android devices. Step 1.Launch iTube Studio subbed anime video downloader program on computer. You can get it from the URL below. Close and launch your browser again after installing the program. 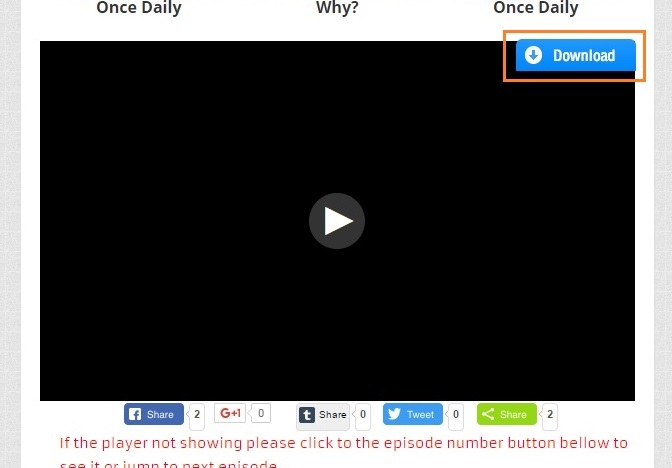 Step 2.Just for example we will download a subbed video from anime streams website here. Make sure you are downloading videos with subtitles. Now just visit the anime streams site and play subbed video. When video is started playing, a download link will appear on the top right of video. Click on this button. Step 3. Now this video link will automatically open in iTube Studio interface and start downloading. iTube Studio will analyze the video link and finish downloading in some time by 3x faster speed. Open Subtitles is a free subtitle downloading website where you can get subtitles related to any movie or animation videos. This website provides you subtitles related to animation series, Hollywood movies, Bollywood movies or any other type of movie. You can easily find subtitles in more than 50 languages on this website totally for free. 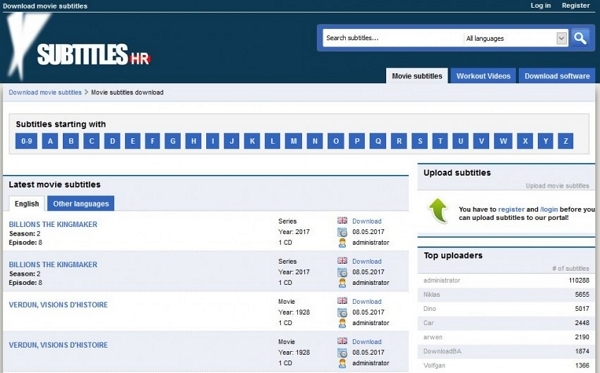 Subtitles.hr is another free subtitle download website where you can download English subtitles for anime videos and movies for free. 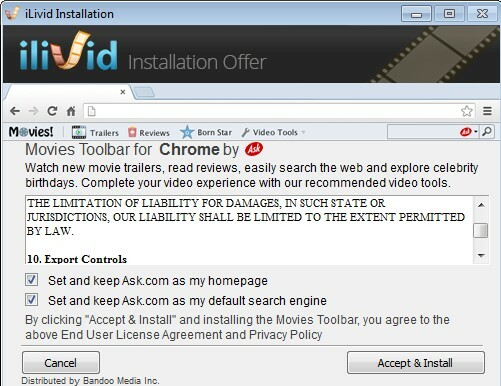 This website supports ads so you may face problem of ads when trying to download subtitle from this website. This website also provides you subtitles for every type of videos like Chinese, Hollywood, Japanese in all languages. 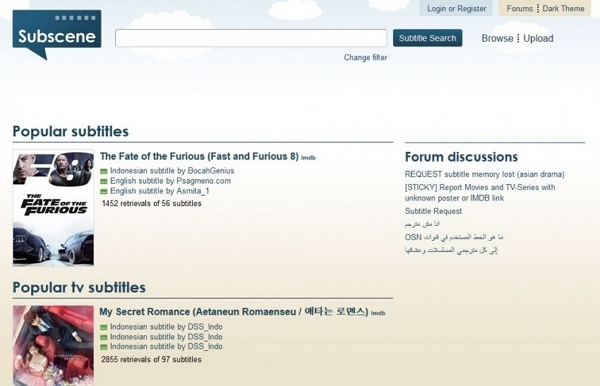 Subscene website allows users to download anime subtitles for free. This website also provides you all details of every movie which you are downloading. Here you have an upload option on this website where you can upload your own subtitles and you can also request your required subtitles of your choice for free. Subs4free is another popular subtitle site which is daily updated with new series. There is a series tab available on this website which directly redirects you to latest updated series. You can find almost every type of movie and video subtitles in Greek language. 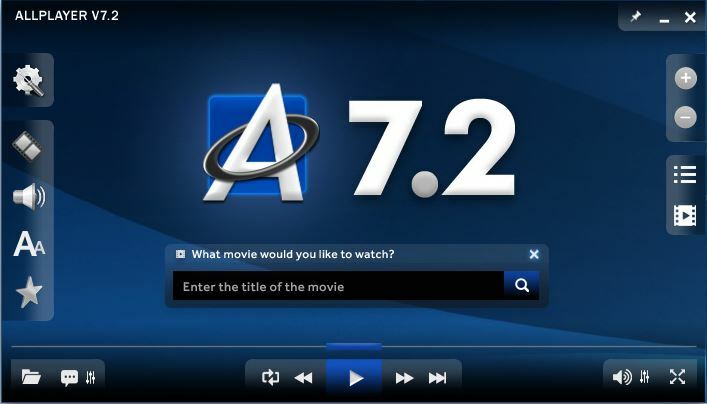 Addic7ed website provides you subtitles for TV shows and animations for free. This website provides you direct download link for anime videos and movies. You can easily find the suitable subtitle for every website anime episodes on this site. This site provides you subtitles in more than 20 languages. Sub extractor is easy to use software which helps users extract subtitles from the playing video files. This software uses optical character recognition method to understand the characters for subtitles and save the created file in the .txt format. 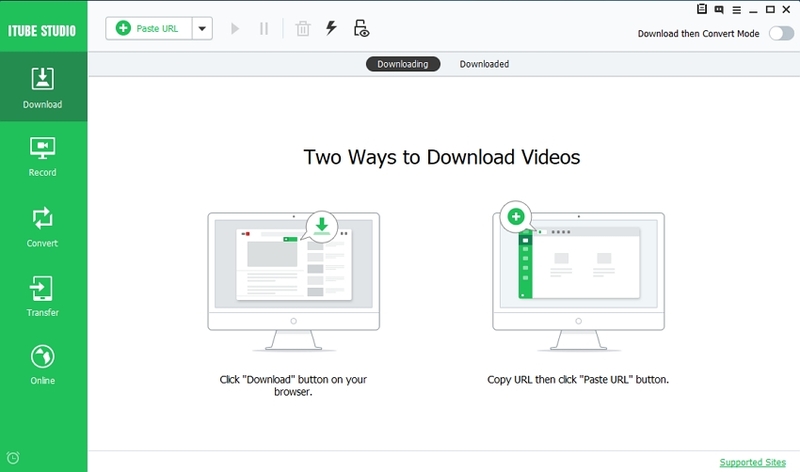 iDealShare Videogo is actually a video converter software which allows you to convert videos in other format but it also has the feature to extract subtitle from the videos. This software can extract subtitle from the videos very easily and also allows you to convert video to audio as well. This program is developed to remove subtitle from the video files without affecting the quality of the video. This program is very useful for those people who don’t like to watch the subtitle while watching movies. This software can remove subtitle and save that subtitle file in a different place on your computer. Faasoft video converter is video converter software from Faasoft officially. This program is also a converter program to convert videos but it allows you to extract subtitles from the videos. This software can easily extract subtitles from AVI, TS, WMV, MKV video files without any issue. This video converter program helps you save these files in the .srt format. 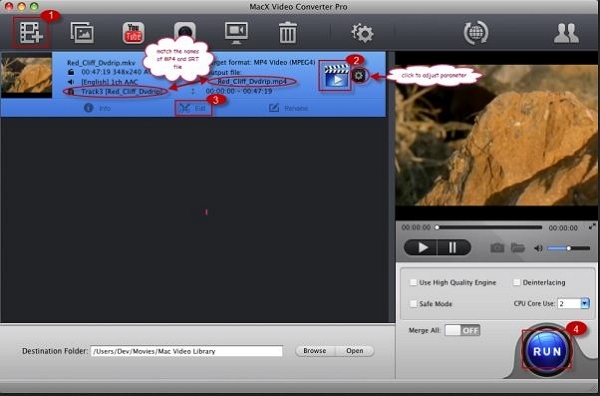 MacX Video Converter Pro is a paid program available for mac users to extract subtitle from the videos. This software doesn’t allow you to directly extract subtitle from videos. You can only extract while converting videos to other formats. BS Player is an online video player which play videos on your computer and automatically search related anime subtitles from the online websites. It caches the subtitles directly to the hard drive of your computer after searching and downloading. This software also supports YouTube streaming video downloading and save them directly to your hard disk. VLC media player is free video player software which is available for almost all operating system devices for free of cost. Very few people know that VLC can also automatically search subtitles and download them for you. You have to install a plugin in your VLC media player installation directly to enables this features in your VLC media player. All Player is a paid player available from All player website officially. This player allows you to play every format files easily without any restrictions of the format. This player also has the feature of automatically search matching subtitles related to the playing movie. This player allows you to search movies in the player directly without going in your browser. Sublight is subtitle downloader software. This software is only available for windows users but allows you to search matching subtitles of your videos directly in the software interface instead of going in browser to search subtitle. Sublight is paid software but you can get the free premium trial for first 15 days. Media player classic is a very old video player software and available for more than 10 years in the online market. This player also support automatically searching subtitles from subtitle sites and download on your computer. This player is 100% free and without any advertisement on the toolbars. 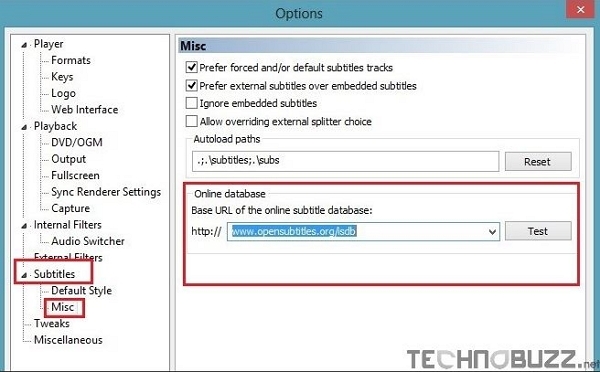 You can add your favorite subtitle site in the software subtitle options menu. We learned about how to download anime subtitles in this article. 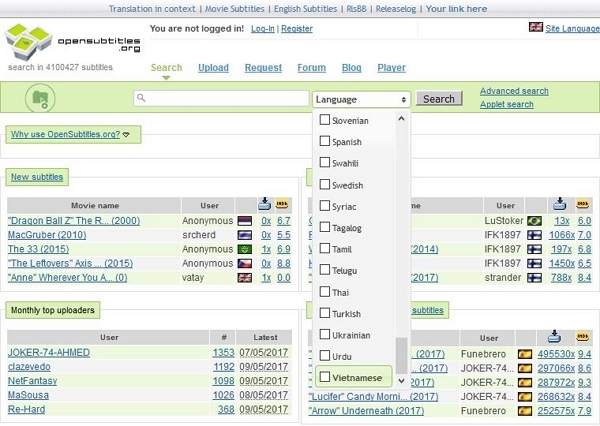 We have also told you about subtitle sites where you can get subtitles, software to extract subtitles from videos and players which search subtitles automatically and download matched subtitles automatically for you. If you don’t want to search subtitles separately then you can directly search subbed videos and download them with iTube Studio.